What did the earliest Roman wines taste like? Were the highly appraised wines of the first century really worth their legendary status? Will we ever know? When Vesuvius blew in August of 79 AD, ash covered the entire area of Pompeii and Herculaneum. The thriving seaport towns, once bustling with activity, became graveyards of civilizations frozen in time. There it lay undisturbed for eighteen centuries until it was excavated by Giuseppe Fiorelli, director of excavations from 1860 to 1875. Under twelve feet of solid ash, he discovered the decayed bodies of thirteen men, women, and children huddled together next to a stone wall inside their garden, where they suffocated in the swirling volcanic air. Today the garden has been named the Orchard of the Fugitives. But instead of death, it is filled with green grass, robust grape vines, and fruit trees. Within the ruins of Pompeii, vineyards are being revived in an attempt to recreate the wines of the ancient Romans according to old Roman methods. 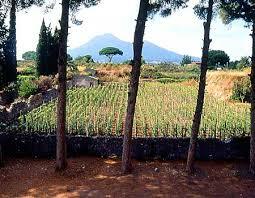 In Pompeii’s heyday, vineyards grew in abundance in and around the city. The Villa dei Misteri, the project shared between the Archaeological Superintendence of Pompeii and Campania wine estate Mastroberardino, has been examining ancient frescos, root imprints, Roman authors, and DNA to identify the original grape varieties cultivated in Pompeii. Is it actually possible to recreate the ancient Roman wines? Do the vines still exist? Piero Mastroberardino, the winemaker in charge of the renown Mastroberardino winery in Campania, has been replanting vineyards in Pompeii using the same ancient grape varieties, viticulture and winemaking techniques of that period. Since the early 1700’s, the family has been dedicated to Aglianico, Fiano di Avellino, Greco di Tufo, among other varieties brought to Campania by ancient Greeks, producing consistently good quality wine. Pompeii’s Applied Research Laboratory, founded in 1995, discovered plots of land pockmarked by holes that were evidence of vines and their supporting stakes. A year later these vineyards were replanted. 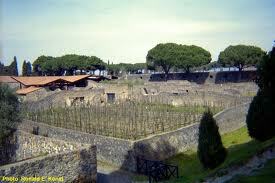 The laboratory discovered that many of the green areas within Pompeii had been planted with grape vines. A dense concentration of them were situated close to the arena. In fact, all five vineyards discovered by the research lab were located near the coliseum. Ancient Roman wine was very strong, but it was usually diluted with seawater before drinking. It was also used for medicinal purposes. Spices were added, or medicinal herbs to cure sickness. The Romans clearly understood alcohols ability to extract essential elements from herbs. Ancient Roman historian Pliny the Elder wrote extensively about wine. In his book Naturalis historia, he lists the grape varieties that were in common use. These were Greco, Fiano, Aglianico, Piedirosso, Sciascinoso, Coda di Bolpe, Caprettona, and Falanghina. These eight grape varietals are grown in Pompeii’s vineyards. Interestingly, it was the frescos found in Pompeii that partly identified the grape varietal as they each have their own shape. Studying DNA only gives the species, not the variety. Scientists at Pompeii were able to decipher the grape varietals through ancient texts, root imprints, and studies on climatic change as well. Today, restaurants and wine distributors carry Mastroberardino’s wines with honor. Their committment to tradition and cultivation of ancient grape varietals, and their ability to blend modern technology with time-tested techniques has placed the Mastroberardino winery as one of the most excellent in Campania. So, here is your chance to taste the wines of the ancient Romans, made of the same grape varietals that were used over two thousand years ago, though not as strong, thankfully. Cultivated on the same soil around Vesuvius and nourished by the warmth of the sun, these wines are sure to please. Indulge in a glass and let your mind wander among the streets and shops of ancient Pompeii. All wines may be purchased through wine shops or restaurants. 2011 Mastroberardino, Lacryma Christi del Vesuvio Bianco DOC $23–made entirely of an indigenous varietal called Coda di Volpe, it is a soft pale yellow in color with aromas of pears and apricots. 2011 Mastroberardino, Greco di Tufo DOCG $28–One of Italy’s most ancient grape varietals, Greco has been grown in Campania for thousands of years. It is an elegant, soft-bodied wine with a texture held together by a zesty acidity. 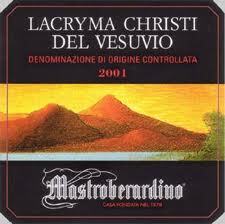 2011 Mastroberardino, Lacryma Christi del Vesuvio Rosso DOC $23–The red brother to its white sister, Lacryma Christi del Vesuvio Rosso shares the same legend and origin. An intense Ruby color, aromas of cherry and red berries, and soft flavors of plum, raspberry, and black pepper, this is the result of the Piedirosso grapes of this wine. 2010 Mastroberardino, Campania Aglianico IGT $28–Made from another ancient grape of Italy, Aglianico thrives in the volcanic soil and terroir of Campania. Blackberries and violets are the aromas one can find in a glass of this wine. Reblogged this on Amy Kuivalainen . Mastroberardino is the Rolls Royce of Campanian wines, yet his wines are surprisingly affordable. Many years ago I got into wine and winemaking, (I’m an award winning home winemaker) because of my interest in archaeology and the Ancient Romans, I constantly searched for wines that were ‘Roman” in origin. The first ‘Roman’ origin wine i had was a Bordeaux wine Chateau Ausone in the early 1970’s. This wine is a first growth in St Emilion, (and commands a very high price today). Evidence discovered on the Chateau property confirmed it was the original property of the 3rd cent. AD poet Ausinius. Then in the early 1970’s, the first ‘Roman’ Italian wines I tasted were produced by ‘Giuseppe Scala fu Rafaele’, of Portici, a neighborhood of Naples. These wines were: Lacryma Christi del Vesuvio, Rosso e Bianco, Falerno Rosso e Bianco, Gragnano Rosso, Greco di Tufo and Falanghina Bianco. After not seeing them in many years, I tried contacting the Importer-Distributor in Los Angeles but was unsuccessful. It seems wine, like a lot of other commodities and products loses its popularity and thus the distributors and retailers stop selling it due to economics. Over the last 40 years or, so the popularity of Italian wines produced from ancient grape varietals that were used by the ancient Romans has increased, thankfully and many of these fine wines are imported into the United States. But Mastroberardino still remains the one winery that resurrected a lot of these ancient grape varieties, through grafting and propagation and the wines they produced that for the most part were forgotten and almost had become extinct. These wines are well worth searching out. I’ve found a couple of them in my local Italian deli-market. Well stocked and knowledgeable wine merchants should carry these wines or be able to get them for you. A taste of antiquity is closer than it’s been in many years! Salute! An addendum to my previous post on Antonio Mastroberardino and the ancient wines of Campania. A couple of other noteworthy producers to look for: Fiudi di San Gregorio and, Villa Matilde, (they’ve cloned and patented their own clone of Aglianico) Fiudi di San Gregorio is better known here like the wines of Antonio Mastroberardino, than the wines of Villa Matilde, and both are well worth searching out. A bit more obscure is Aglianico del Vulture from Basilicata. Like the wines of Campania, Basilicata, the province directly south of Campania was once was part of ‘Magna Graecia’, Greater Greece. The Aglianico wines from this area are a bit less known here in the USA and thus might be less expensive than their Campanian versions but are just as delicious and offer wine drinkers a true taste of Antiquity. I’ve found the best places to find these obscure and little known wines are in local Italian markets – delis. Often these purveyors of Italian foodstuffs are able able to obtain some very interesting wines through their sources like small importers.. For future thought: The wines of Sicily are really ancient, using the grape varietie:s Nerello Mescalese, Nerello Cappuccio, Nero d’ Avola and Insolio Bianco and Grillo Bianco.. Near the ancient Greek city of Syracuse, famous for their open air Greek theater, a muscat wine has been produced here since the 7th century BC when Greeks from Corinth established this former Greek colony-city state. The wine: Moscato d’ Syracusa. This muscat wine is a late harvest wine with aromas of oranges, honey and apricots, very sweet and often served with bicsotti or canolli or casata de Sicilia or any of the many sweets Sicily is famous for.. 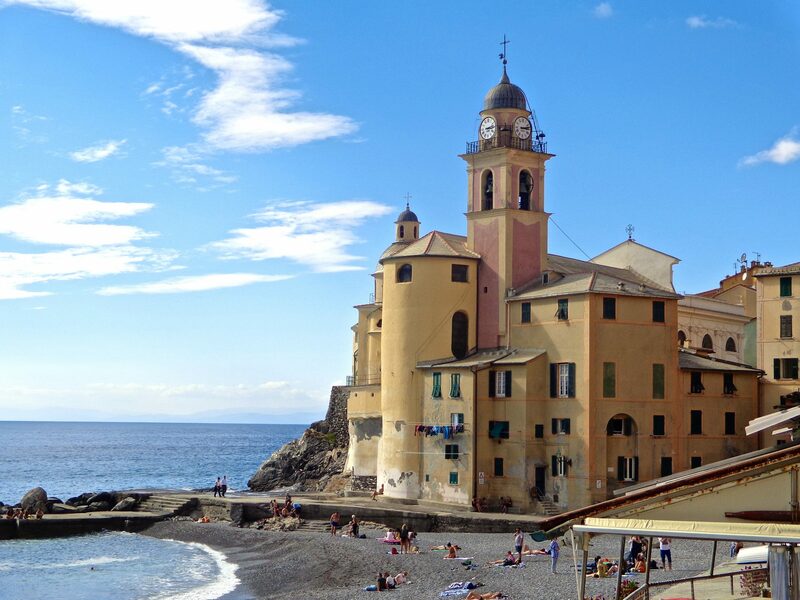 Some more information on the fascinating wines of Italy for a true taste of wines made with ancient grape varieties using modern winemaking techniques but none the less delivering a true taste of antiquity. Salute! Salute, William! And thank you for all of your information about Italian wines. I will be in Sicily this October and I am looking forward to sampling more of the ancient Greek varietals in Syracusa. Is it possible to buy 50 year old wine in Pompei as a gift. And where. I would contact Mastroberardino Cellars. 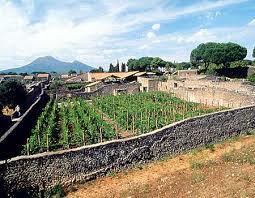 They are the only winery involved in growing the original varietals in Pompeii today. http://wine.mastroberardino.net/it/cms.aspx?id=47 Good Luck! Your best bet for older Italian wines and older wines in general: contact auction houses like Bonhams & Butterfields. About 4 years ago I attended an internet auction of wines and spirits at Butterfields. I do recall a few lots of some older Italian wines, like Barolo & Barbaresco by Pio Cesare anf Angelo Gaja. These two producers are top of the line and their current vintages are expensive. In the auction I do recall a couple of lots wiith a few bottles of Mastroberdino Taurasi, his top of the line Aglianico from the early 1970’s. Funny thing, I recall buying these same wines in the early 1970’s for not much money, my how times’ve changed! I was lucky to acquire a case of 1970 – 1971 Inglenook Charbono. This vineyard and winery is now owned bt Francis Ford Coppola and is a prominent Napa Valley winery. Again, I fell in love with this wine in tha early 1970’s and as I recall it was value priced. This particular wine grape is rare ihere California n the sense that only a couple of wineries produce it, Fortino Vineyards in Gilroy and Pacific Star in Mendocino County. I also recall Bonny Doon in Santa Cruz also produced Charbono but I haven’t seen it in some time. Usually with wines purchased through auction houses, they come from well cellared sources however there’s usually a disclaimer that the auction house doesn’t guarantee the validity of any of therir lots as the consigner gives the information to the auctinh house when he consigns his items for auction. With wine, It’s important that it has been properly stored as older wines can go bad and you have no way of knowing this. Who wants a very expensive bottle of vinegar? One more caveat: Asan award winning home winemaker and someone having been in the retail wine business, ‘wines older than ten years aren’t guaranteed’. This means you buy at your own risk. Great post! I am a wine lover as well. Hopefully I’ll be able to manage a trip out to Italy soon to try some for myself! You won’t be disappointed! Make that trip a for sure event. The punctuation error in the headline stands out in what is otherwise a very well-written and interesting article. I may be visiting Italy later this year and look forward to the wine-tasting opportunities. Thank you, Debbra. I can’t believe this escaped me. I think I focus so much on the body of my article sometimes I neglect the title. It is fixed. 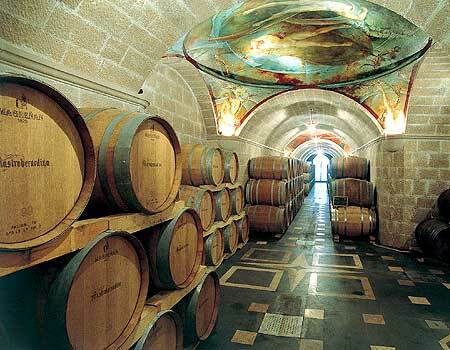 I hope you DO visit some of the wineries in Campania if you go to Italy. All the best!